Despite the phenomenal success of the 1939 MGM film version of The Wizard of Oz, adaptations of the other Oz books have never been particularly successful. I’m sure this is partially BECAUSE of the MGM movie’s success, as well as the relative obscurity of the other books, resulting in the public regarding new Oz movies as attempts to cash in on the famous film. This was more or less the case even before 1939, however. In L. Frank Baum’s day, Wizard was a hit stage show, and it’s generally thought that he wrote the second book with an eye for the stage. When he did turn it into the play known as The Woggle-Bug, however, it was a flop. I’ve seen it mentioned that audiences thought it was too close to the Wizard play, which was still running at the time. 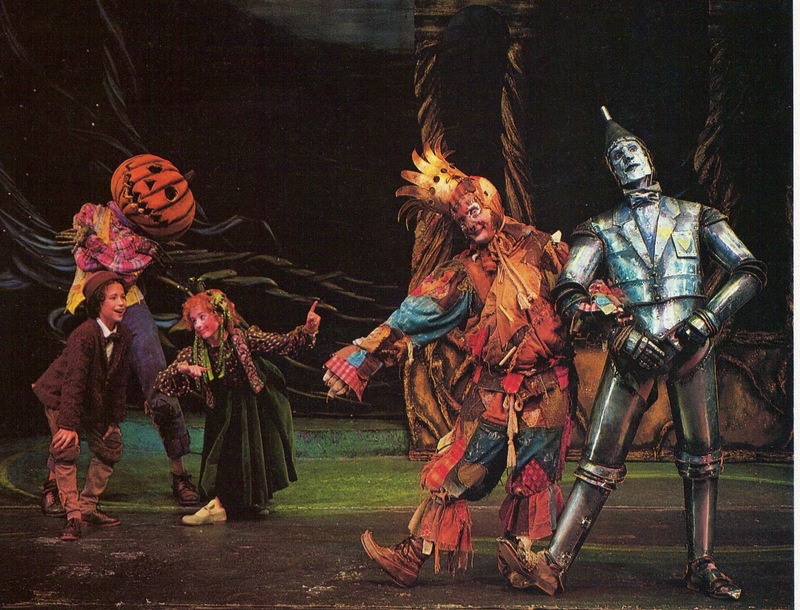 Also, while the book The Marvelous Land of Oz features the Scarecrow and Tin Woodman, who were the stars of the Wizard play, they weren’t in the follow-up at all. Indeed, Baum apparently wrote out all direct references to the first story, changing the Emerald City to the City of Jewels and calling Glinda Maetta (which, as fans may know, is the name of the sorceress in The Magical Monarch of Mo). A later Oz play penned by Baum, The Tik-Tok Man of Oz, was a moderate success, possibly because enough time had passed since the first one. Anyway, the second book hasn’t fared that well on stage and screen. Return to Oz incorporated some elements of it, and The Shirley Temple Show did a version co-starring Agnes Moorehead as Mombi. In this post, however, I’m looking at a 1981 stage play that was videotaped for television broadcast, and is now available to watch on YouTube, performed by the Children’s Theatre Company and School of Minneapolis. It’s really a quite faithful adaptation, with most of the dialogue and action taken directly from the book. It’s even suggested that the scriptwriter was familiar with some of the other Oz books, as there’s an allusion to Pastoria’s still being alive in Lost King. There are a few changes, but most of them are due to technical reasons. For instance, they presumably couldn’t get the Sawhorse to move or talk convincingly, so while he’s there, his role is severely diminished. The scene in the jackdaws’ nest is omitted as well. Also, while there aren’t that many references to MGM, the production’s Glinda does owe a bit to Billie Burke’s portrayal of the character, and there’s even an equivalent of her infamous “she had to figure it out for herself” line. The songs are also pretty good, with the Wogglebug’s introductory number particularly sounding out in my mind. While I’m at it, I might as well also write a review of Inherit the Wind, the seventeenth trade paperback in Bill Willingham’s Fables series. While the main story here is about the children of Snow White and Bigby Wolf being tested to see who will become the new North Wind, there’s also quite a bit of Oz in it. Bufkin, the formerly winged monkey, teams up with Jack Pumpkinhead, the Sawhorse, and Bungle the Glass Cat to fight against the Nome King, who has declared himself ruler of the Pan-Ozian Empire. We see both a Kalidah and the giant Mr. Yoop, and there’s a more subtle reference in Ev being known as District 47, a number that shows up a fair amount in Baum’s work. I appreciate that this version of Oz under a totalitarian government is still pretty whimsical and faithful to the original books, and it looks like other Oz fans are enjoying it as well. 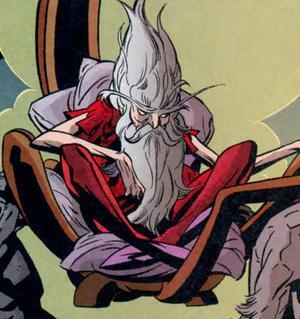 On the other hand, I’ve seen people on the Internet complaining about how Fables now has so much focus on a fairly obscure fantasy land, so to each his own. I do have to wonder when Willingham’s Oz is supposed to have diverged from the Famous Forty, but I doubt he really thought it through that much. I notice that the Nome King is known as Roquat the Red instead of Ruggedo, which hints that it’s before Tik-Tok, but I suppose there’s no real reason he couldn’t have changed his name back. This entry was posted in Book Reviews, Comics, L. Frank Baum, Oz, Oz Authors, Plays, Ruth Plumly Thompson and tagged bill willingham, children's theatre company, fables, inherit the wind, mgm, nome king, sawhorse, scarecrow, the lost king of oz, the marvelous land of oz, the wizard of oz, the woggle-bug, the wonderful wizard of oz, tik-tok of oz, tin woodman. Bookmark the permalink. Re MARVELOUS LAND films, there was also the cheapo live action 1969 WONDERFUL LAND OF OZ, and animated versions made in Japan in 1986 (and dubbed by Cinar for the North American market) and in Russia in 2000.